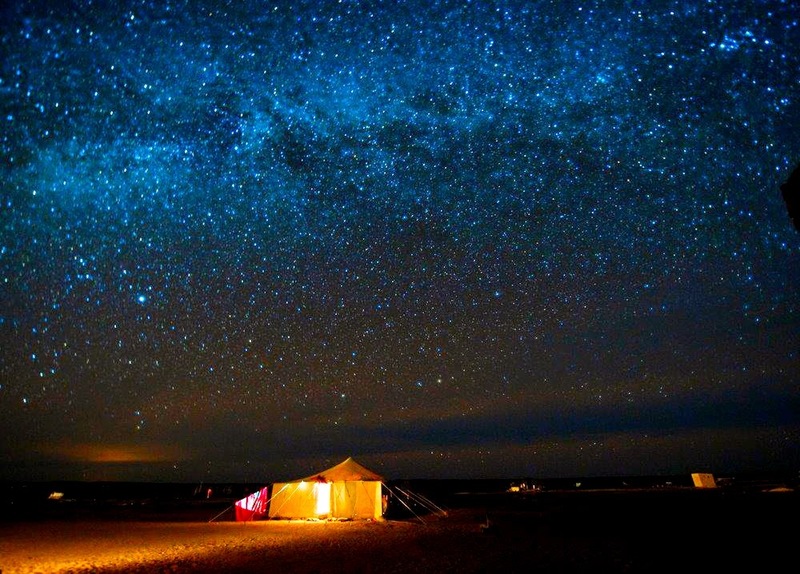 Have you ever wanted to spend a night under the stars in the Sahara desert? Do you enjoy visiting places that have been at the crossroads of civilization and cultures for the past 100,000 years? Do you like America, and the first country ever to recognize its independence in 1777? Do you enjoy stunning mountain vistas, gorgeous coastlines, and a rich and vibrant heritage such as the ones that exist in Morocco and could not be generically applied to all other treks? Do you love The Clash? If you said yes to any of the above, this might be the trek for you! We do one country and we do it right. This ain’t no “sit around at the pool all day and rage at the club until 6AM every night” trek. Nor is it a “let’s go to bed early because we need to climb 13,789 vertical feet tomorrow by sunrise” trek. And nor is it a “let’s go to these historically important ruins and discuss culture over tea afterwards” trek. It is ALL of the above (yet still somewhat reasonably scheduled and balanced). So be prepared for everything and anything. Otherwise you’re out of your element. Take a page out of Schmidt’s book by putting on your sunglasses and setting your clock to the WET time zone as you fly halfway around the world to embark on an epic adventure. Arrive in Casablanca and spend the afternoon relaxing at the the hotel before getting to know your fellow trekkers over dinner. En route to the “blue city” of Chefchaouen, we’ll stop in Rabat for lunch to take in the colonial architecture and palm-lined boulevards of this coastal city. We will all be reminded of ‘Eiffel 65’ for the first time in over a decade as we end the day exploring in Chefchaouen in the Rif Mountains. Spend the day touring through the winding streets of Chefchaouen trying to shake off that feeling of being Alice in Wonderland. Spend the night getting to know your fellow trekkers over dinner and drinks (emphasis on the drinks). Technically you should prepare for a big day tomorrow, but we vote you ignore that advice and focus on drinking instead, leading you to be slightly (much) less prepared for said big day. After nursing hangovers and downing a monstrous breakfast we set out for the 2000-year-old Roman ruins of Volubilis. Lunch will be local cuisine in Meknes, one of Morocco’s Imperial cities. We’ll spend time exploring in Meknes before heading to Fes, the cultural and spiritual capital of Morocco, where we’ll have dinner in a riad. Adventure is out there! Today is the day you join the likes of Carl and Russell and become a full-fledged Wilderness Explorer. We’ll trek across the Sahara on camels, making our way through the Erg Chebbi Dunes to our final destination. Start practicing your a capella EDM-skills to be prepared for endless repetitions of Da Rude’s ‘Sandstorm’. The day ends at an oasis where we’ll have a cookout under an endless expanse of stars and spend the night in Berber tents. Who knows, maybe you’ll get picked up for a magic carpet ride? Visit the breathtaking Todra gorges and continue through the Dadès and Boumalne, where we’ll go hiking deep into the Atlas mountains. After we all resolve to start a fitness regimen while watching Chelsea effortlessly sprints up the mountain, dinner will be served as we relax in the Kasbah. Get ready for some serious raging to end the trip on a high note. We hit the road to the Ouarzazate region for lunch before heading down the mountains to Marrakech. There we’ll find snake charmers, fire swallowers, fortune tellers, and African and Arabic musicians in the city’s main square, Djemaa el-Fna. Be prepared for Dave’s inevitable gems of conversation. “Like, how cool would it be if someone charmed snakes and swallowed fire while telling your fortune?” Spend the night taking in some of the best food and nightlife in Morocco. Keeping the day low key, we take a guided tour of Marrakech to see the Saadian Tombs, Koutoubia Mosque, and Old Spice Market. Chelsea will make endless ‘Dune’ references. We head to Casablanca from Marrakech, spending the day laying out at the beach and swimming in the Atlantic. Surf lessons are optional, but once you see Alex tearing up the waves we doubt you’ll be able to resist. We’ll have our final group dinner and go big for our last night in Morocco. With a heavy heart, leave Casablanca for departure back to Ann Arbor where classes and recruiters await.